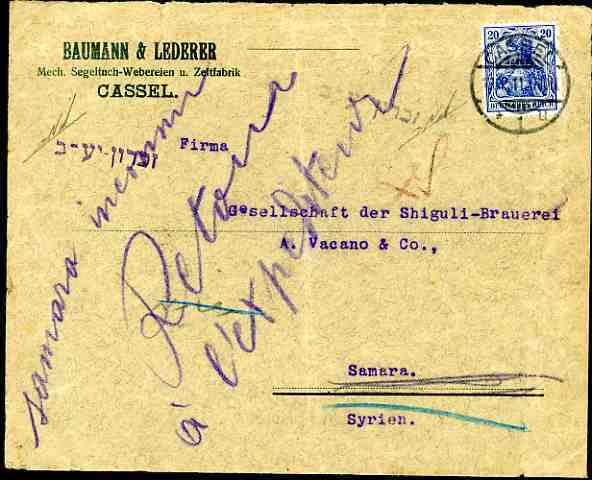 HOLY LAND: cover from Germany franked 20 Pfg Germania, cancelled "CASSEL 18.12.11" send to Samara/Syrien, as such a place was not known, redirected to the ZICRON-JACOB JEWISH COLONIE (in Samaria near Haifa), with postal arrival single line handstamp "ZCHRON-JAKB" in VIOLET (Steichele fig. 716) and another strike of the same postmark in BLUE when returned to sender. Certificate Yakub Nakri: "This is the ONLY RECORDED COVER with two diff. 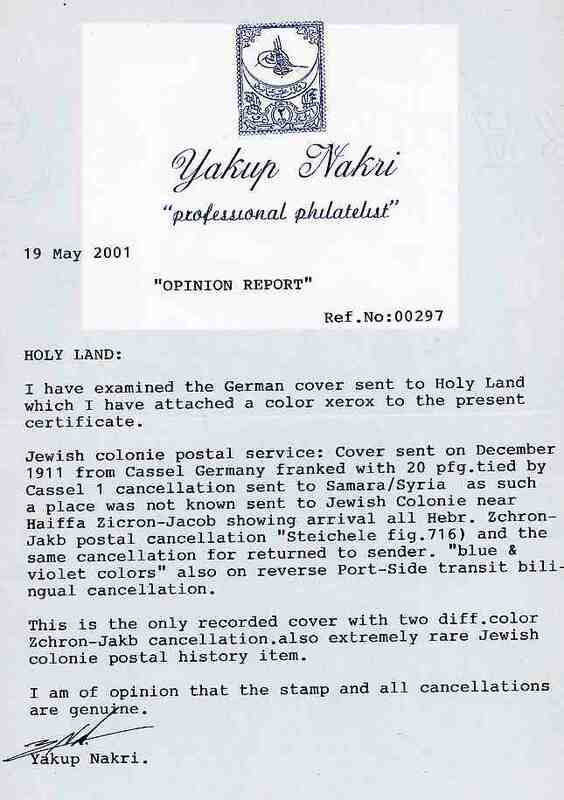 colour Zchron-Jakb cancellation, also extremely rare Jewish colonie postal history item"